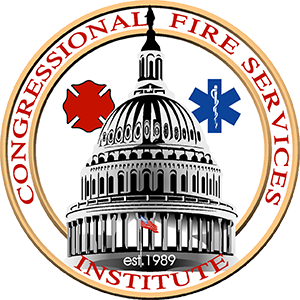 (March 29, 2018) – The Congressional Fire Services Institute (CFSI) has released its Legislative Outlook for the Second Session of the 115th Congress. In 2018, Congress is considering many issues of critical importance to the nation’s fire and emer­gency services. Actions taken by Congress will have a direct impact on the fire service’s ability to prepare for, respond to, prevent, and mitigate incidents both large and small, natural and man-made, local and national in scope. The CFSI Legislative Outlook is synopsis of some critical issues that will be considered during the Second Session of the 115th Congress. The CFSI 2018 Legislative Outlook, as well as a full list of current fire service legislation, can be found by visiting CFSI’s website.